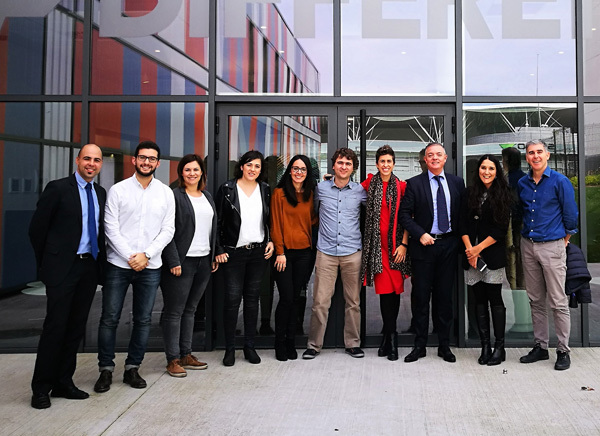 29 NOVEMBER saw the gathering of the Hazitek FUNCIONA 4 consortium on the subject, “Customised-function Products through Adaptable and Versatile Technologies” at Cidetec Surface Engineering installations. The project, spearheaded by ORBEA, is funded by SPRI through the HAZITEK programme and has availed of a global budget of € 6.5M over a three-year period, to conclude in December 2018. The meeting pooled together the most significant project results, attesting to its excellent outcome and the compatibility and synergy existing between participating companies.It ended with a tour of Cidetec Surface Engineering installations. The Cidetec technical team thanked all the consortium members, distinguishing MAIER, MUGAPE, IRURENA, CIKAUTXO, ABB NIESSEN and AMPO and, above all, its leader ORBEA for the active cooperation shown throughout project implementation and for demonstrating that the united efforts of the different companies and centres of the RVCTI make it possible to attain objectives efficiently to satisfaction.